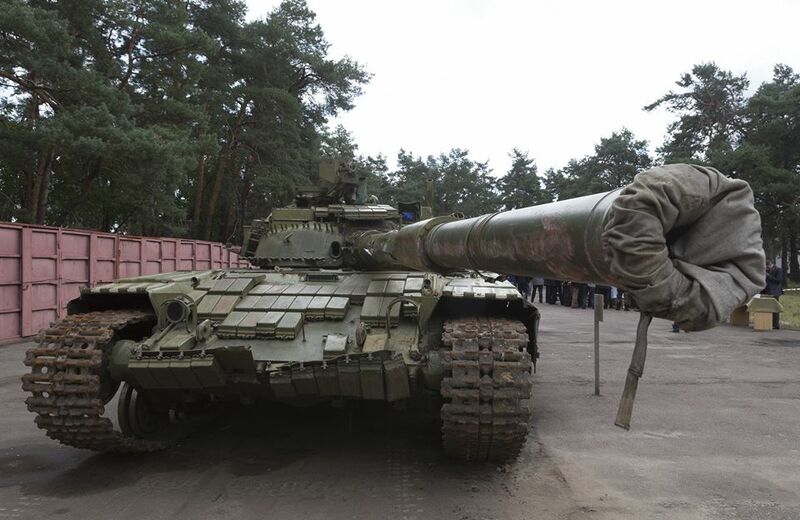 The Ukrainian government organized a display of military equipment captured in fighting in eastern Ukraine, much of which was reportedly supplied from Russia. 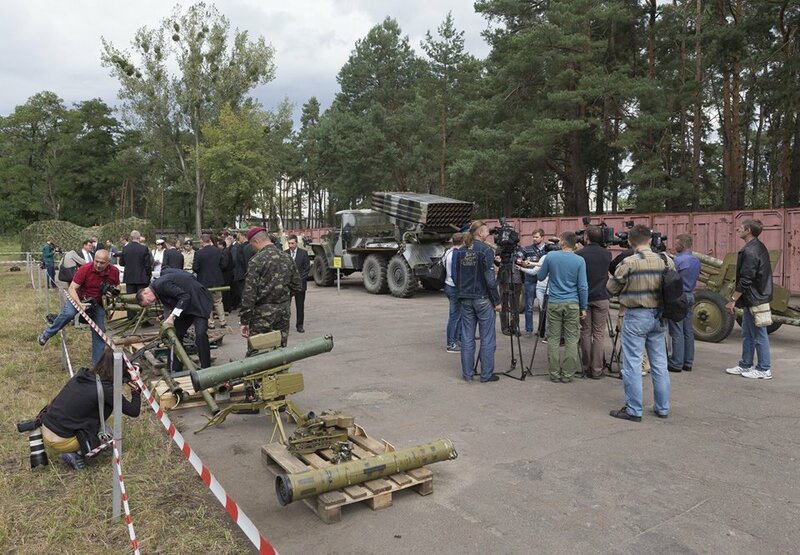 All foreign military attachés accredited to Kyiv were invited to view the equipment. 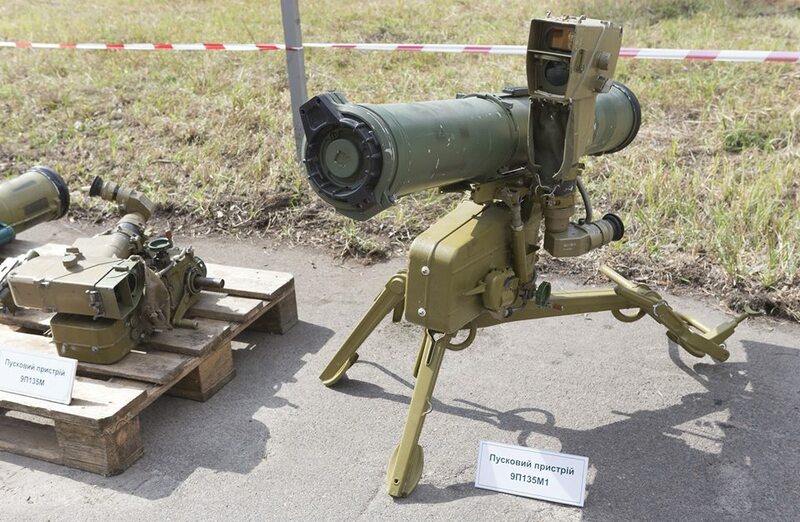 RPG-18: “Mukha” (Russian) short-range, disposable light anti-tank rocket launcher. 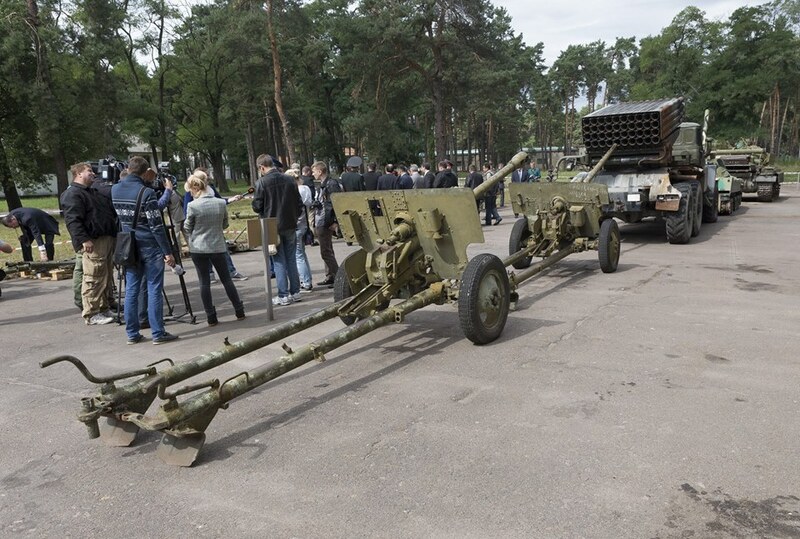 RPG-26: “Aglen” is a disposable anti-tank rocket launcher developed by the Soviet Union. It fires a single-stage rocket with jack-knife fins, which unfold after launch. The rocket carries a 72.5 millimeter diameter high explosive anti-tank single shaped charge warhead capable of penetrating 440 millimeters of armor, one meter of reinforced concrete or one and a half meters of brickwork. 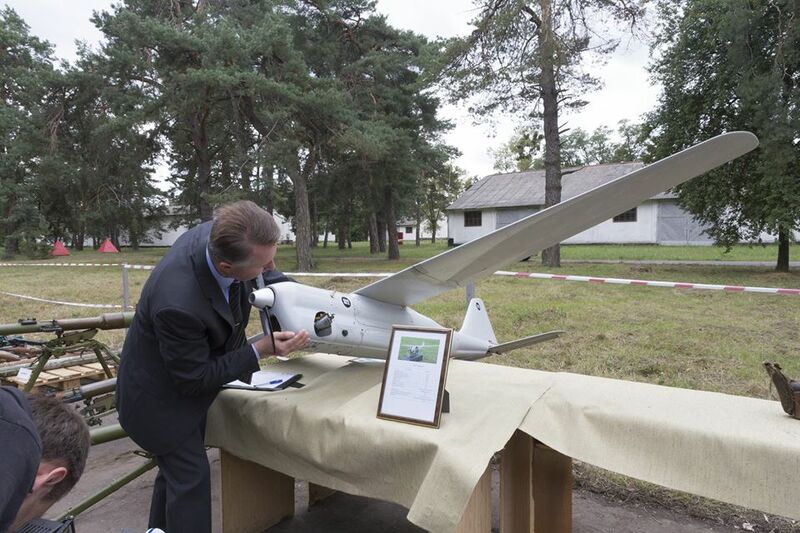 It has a maximum effective range of around 250 meters. 9K111 Fagot (Russian: 9K111 «Фагот»; English meaning of the word: “bassoon”) is a SACLOS wire-guided anti-tank missile system of the Soviet Union. 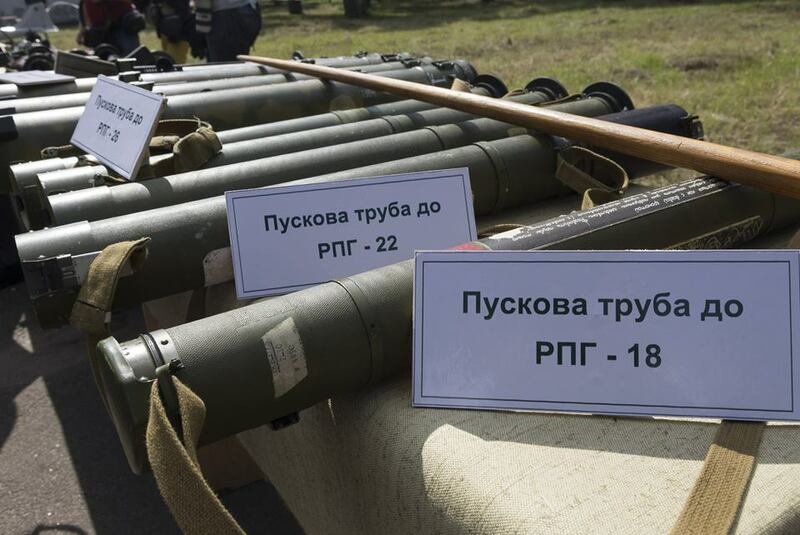 “9M111” is the GRAU designation of the missile. Its NATO reporting name is AT-4 Spigot. This entry was posted in English, English News, Pictures, South&Eastern Ukraine, War in Donbas and tagged #RussiaInvadedUkraine, #SaveUkraine, #UkraineUnderAttack, Kyiv, Ukraine. Bookmark the permalink.